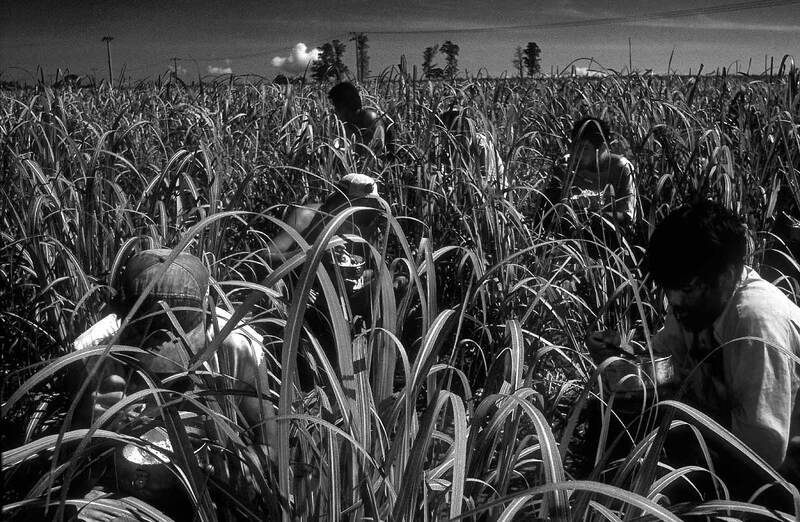 Guarani-Kaiowa Indigenous sugarcane cutters having lunch inside plantation, under a scalding sun. Meals served with no tableware, no protection against sun or rain. Contemporary slavery in Mato Grosso do Sul State, Mid-west Brazil.